Green tea is a very popular supplement due to positive attention from the media and the scientific community. Green tea is made from Cammellia sinensis leaves that have not been subject to the same oxidation process that is used to create conventional black tea. Because of this lack of processing, green tea leaves do not lose their natural qualities. As a result, green tea has the potential to be an incredible addition to your diet. 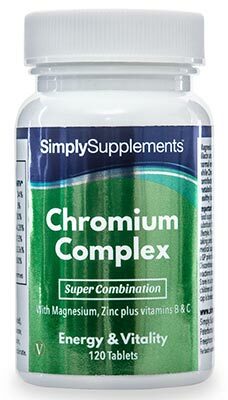 Simply Supplements Green Tea Extract capsules have been exclusively formulated by a resident team of professional nutritionists to provide high levels of this well-renowned nutrient in an easy-to-take, easy-to-store capsule. Should I Take Green Tea Extract Capsules? 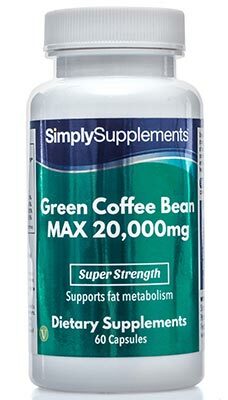 Simply Supplements have formulated these 1000mg Green Tea Extract capsules to provide a high-quality, comprehensive supplement that you can enjoy whenever you need it. These ingredients, coupled with the convenient, easy-to-swallow EasyGest capsules suit all customers looking to help support their diet by using food supplements. 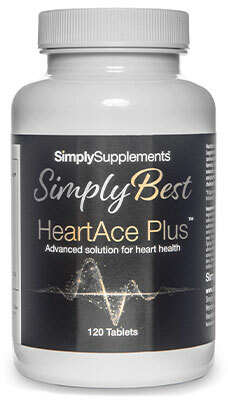 Simply Supplements Green Tea Extract 1000mg capsules contain standardised extracts in an effort to provide some of the most potent green tea supplements on the market. Standardised ingredients help to ensure consistency across capsules, guaranteeing that you will receive regular, great-quality supplements to help support you on a daily basis. Other green tea extract supplements on the market may forgo this process to maximise profits. As a result, the end product often suffers and the ingredients may lose some of their value. 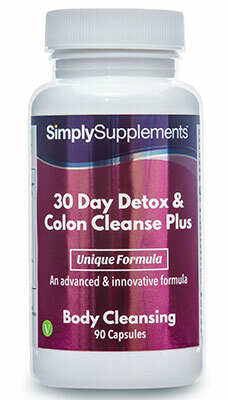 Simply Supplements have made a deliberate decision to avoid these issues to ensure product quality. 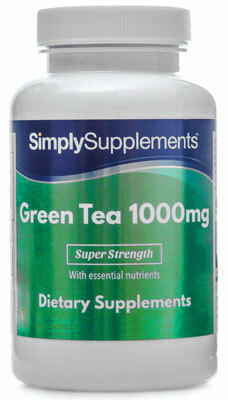 Our Green Tea Extract supplement makes use of Simply Supplements exclusive EasyGest capsules. These unique shells offer an additional range of benefits not found in other green tea extract supplements. Firstly, EasyGest capsules can be opened and mixed into food and drink to provide a different way of consumption for customers who may struggle to take capsules and tablets orally. Once ingested, the added ingredients help to activate the bacteria in the stomach to aid the rate of absorption and effectiveness. Simply Supplements manufacture Green Tea Extract 1000mg capsules in the UK to strict Good Manufacturing Practice (GMP) standards. Other Ingredients: Bulking Agent (Microcrystalline Cellulose), Capsule Shell (Hypromellose, Colourant (Titanium Dioxide (E171)), Anti-Caking Agent (Magnesium Stearate). 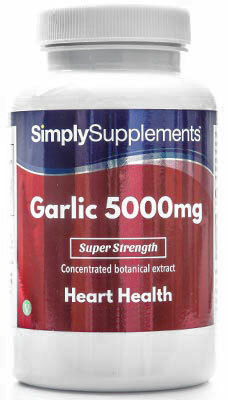 Take three capsules daily, preferably with meals or as directed by a healthcare professional. If you are taking any prescription medication, you have a medical condition or you have specific concerns about the suitability of our products, always consult your GP or Pharmacist prior to taking supplements. Do not exceed stated dose. Store in a cool dry place. Keep away from children at all times. Do not use if seal is broken. Pregnant or lactating women should consult a Doctor before using this product. Suitable for Vegetarians. Food Supplement: This product should not be used as a substitute for a varied diet.